Shaffer Fencing – Top-quality fencing and service. SHAFFER FENCING aims to provide our customers with no-hassle, custom fencing with superior customer service. Our goal is to improve your property for decades to come, whether it be with an industry-leading roping arena, safe pipe runs or barbwire fencing over hundreds of acres. 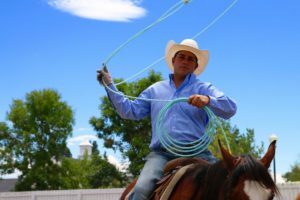 Owner TORY SHAFFER has a lifetime of ranching, welding and roping experience and is passionate about exceeding your expectations for your horses or other livestock. Our experienced crew is respectful, punctual and dependable.